I'll start today's post by apologising. I know most of what I write here will have no meaning or bearing on most of my European, or Western, readers. However, if you can put up with the slight emotion dribble, you might learn something new and read something interesting. Still, it's about cars in general, so that's where I'll start. A few days ago, the Tokyo Motor Show opened its doors to the world's press and all of them flocked to the Toyota and Subaru stand to get their first view of the Toyota 86 (called GT 86 in Europe and will be re-badged Scion in the US with the name of FR-S) and the Subaru BRZ. Yes, it's all the same car, just named differently for different markets. When I rocked up at work the other morning, I quickly checked out the fresh-from-the-oven press conference video with Toyota Motor Corp. President, Akio Toyoda, introducing the various new cars and concepts on show in Tokyo. After, once again, affirming the company's support for the various disaster stricken regions around the world where it operates, Toyoda-san introduced the company's new advertising campaign. With the powerful and impassioned speech which came before that moment, I would never have imagined what he was about to say. In fact, I actually did a double-take and watched it again to fully comprehend the name: Doraemon. This is where I expect most of you will start getting lost, but try to stick it through, OK? Toyoda-san said that Doraemon will now start to be featured in all corporate ad campaigns in Japan. The reason, he continued, is that Doraemon demonstrates a clear parallel with the company. 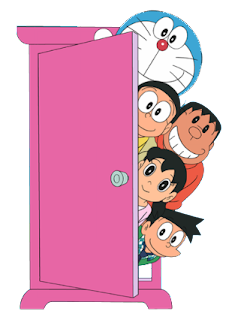 Whenever his friends needed help, Doraemon will produce all sorts of fascinating tools to get them out of trouble. "The real Doraemon is present in all of our manufacturing sites. No matter how challenging the manufacturing environment becomes, and no matter how many obstacles we have to overcome, we will maintain our belief in the power of manufacturing and move step-by-step towards building a society based on our vision for future mobility." On the face of it, it's odd saying that all his employees around the world are futuristic, round, blue cat robots. But the notion goes so much deeper, and I would find it hard to believe I'm the only person of Asian descent to feel a sudden pang of nostalgia and fully appreciate this message. So, what is Doraemon? Doraemon is a manga series (Japanese comic) created by the venerable Fujiko. F. Fujio. The central character, as I briefly mentioned above, is a robotic cat from the future (the 22nd Century to be exact) who is bright blue, very short, very fat, very round, very absent-minded and accident prone. The story goes that he was sent over by the descendants of Nobi Nobita (the name, apparently, means "knocked down") to help him through life as Nobi is not very bright at school and is always bullied by other kids, Gian (play on word name sounding like "giant") and Suneo. Created in 1969, the series have been widely read by not only Japanese kids and their parents, but also those of us who grew up in the rest of Far East Asia. What made this lovable character and manga so enduring, I believe, is because of the innate goodness it teaches children (and adults alike). There's a simplicity and a naivety to it all, and the world portrayed that puts it all into an easy to comprehend perspective. Just recently, one of my colleagues commented that he is amazed by the sense of "naivety" I have about things, that I believe things still matter. 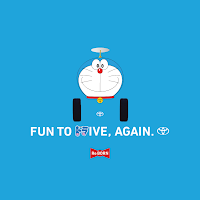 Well, I take that as a compliment and this new tie up between Toyota and Doraemon came at just the right moment for me to remember where this particular trait comes from. It's all Doraemon! The characters are all basically quite innocent while tackling very large issues, not least some heavy environmental issues including global warming and endangered species - really forward thinking for its time. I say innocent with the understanding that when Gian beats up Nobi, it's not out of pure malice or hatred, but more of a normal growing up bully situation which we all either go through or see in our lives anyways. Where does this sense of naivety and innocence take us then? Well, Doraemon brings a sense that everything is possible if you are willing to try. There's a never-give-up spirit that I so admire of the Japanese of old - things have changed for the worse with the more recent generations sadly. I will forever remember a particular Doraemon story when a younger Nobi fell and grazed his knees. He sat crying on the ground before his grandmother, a loving and gentle looking old woman comes and sits next to him. She asked him why he was crying before using an analogy of the Daruma doll which never ever falls down when being pushed over. It will always right itself back to an upright position. But what Doraemon stood for, at the most basic level, is his amazing sense of optimism. 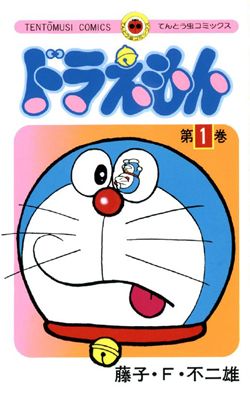 Whenever the two, Nobi and Doraemon, encounters a problem, Doraemon would reach his perfectly round white paws into the fourth-dimensional pocket attached to his belly and whip out some sort of futuristic device to attempt at solving the problem, more often than not with disastrous consequences but always coming right in the end. Two tools of note, and used this the particular commercials, are the take-copter (pronounced takekoputa, which basically means bamboo helicopter), a device to attach to your head and allows you to fly in low altitudes over the town, and the dokodemo door, a pink door which can take you anywhere you wish. "... Doraemon belongs in a category of his own: not just a companion (like Winnie the Pooh) and not just an icon (like Mickey Mouse). While Bart Simpson says and does what all of us fear to do, Doraemon does what we dream of doing. As Donald George, the global travel editor of Lonely Planet Publications, says, following a video showing of Doraemon in Oakland, California: "He represents a wonderful combination of innocence and imagination—and you come away with that childlike feeling that anything really is possible. It's the same feeling I get when I travel." I could go on and on about his Doraemon represents modern Japan with his always portable gadgets, or go on about how this character has remained true for all this time, allowing him to stand firm in the ultra traditional generation before with the pink-haired, spray-tanned youths of today. But I think my point is made. 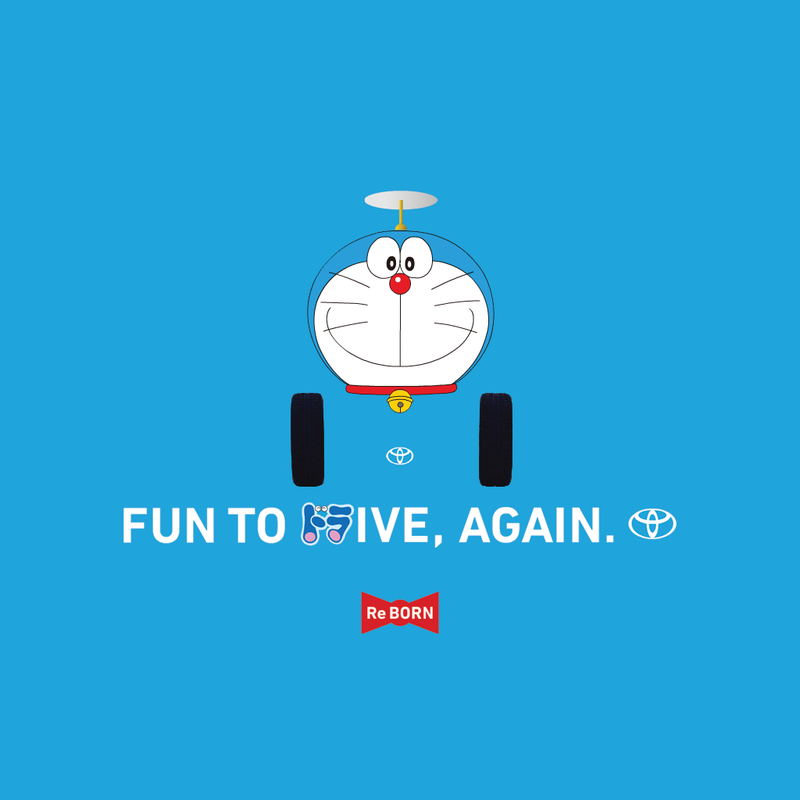 Doraemon is a perfect match for Toyota, in my humble opinion. The never-give-up attitude, and not afraid of making mistakes to pursue the ideals of continous improvement (kaizen) cannot be understated in this union. Thank Toyoda-san, and thank you to the Fujiko F. Fujio artist combo! UPDATE (06/12/11): Toyota has updated their website with a virtual tour of their booth from the Tokyo Motor Show on their site here.